This is it! Are you sick and tired of chemical & alcohol laden skin care? Are you craving healthy, radiant, & luxurious skin? This is the pinnacle of radical self care! We’ve combined the amazing Sun Kissed Pack, plus the fabulous Glamour Pack, into a luxurious experience at a great price! 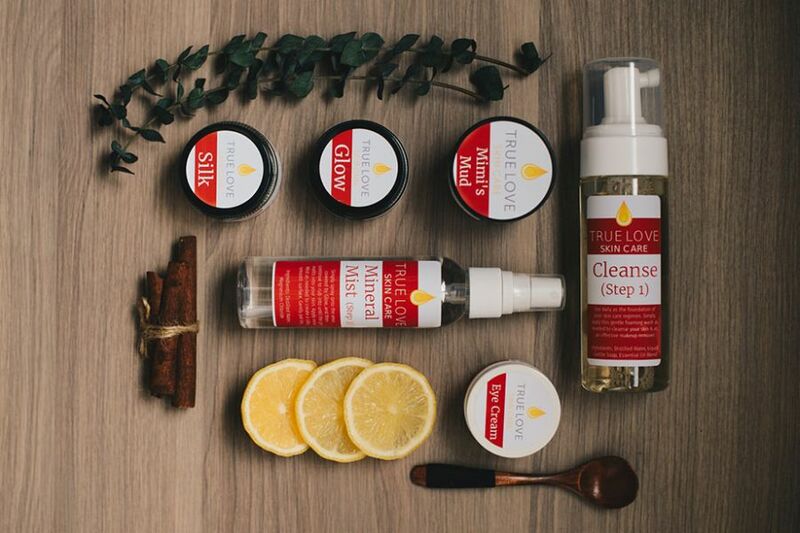 The Luxury Collection includes 6 amazing products, all designed to deliver Simple, Natural & Direct Nutrition for Healthy Skin! And healthy skin is naturally radiant & luxurious! Order your’s today! * The Luxury Collection is NOT available for Auto-Ship. However, you may order both the Sun Kissed & Glamour Packs individually for your monthly Auto-Ship. Cleanse – Gently wash away dirt, makeup, and other skin contaminants. Glow – This mineral-packed scrub & moisturizer is the foundation of daily Self Care. Mineral Mist – This mineral-infused spray invigorates, and is an activator for Glow. Silk – Not only does it lock in moisture all day, it makes a terrific after-shave treatment or make-up primer! Eye Cream – if you want to get rid of unsightly wrinkles, bags, or dark circles, gently and naturally, then this is for you! Mimi’s Mud Mask – This amazing mud mask, will cleanse, detox, and rejuvenate your skin! Hot Springs Mineral Soak – enjoy a soak in a mineral hot springs without leaving your home! This combination of essential minerals will relax & invigorate you, while delivering the minerals your body craves!